Since their introduction on UK roads in Nottingham average speed camera usage in the UK has grown exponentially. The first average speed check cameras named SPECS appeared on the UKs roads in 2000. 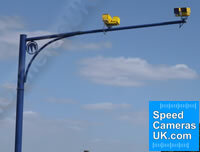 More recently in 2014 a new average speed camera has been developed by the same company behind SPECS. This new camera system is named VECTOR. Although the first SPECS average speed check zones were deployed on residential roads circling and crossing Nottingham, their usage has been far more common and synonymous as temporary speed cameras throughout sections of the UK motorway network during roadwork's. However, this trend has been changing in more recent years since the introduction of the VECTOR average speed camera system as more and more councils now use average speed cameras as permanent fixtures on lower speed limit roads. For example, in Nottingham, where average cameras were first installed and the trialed, there are now eighteen roads covered by SPECS cameras including dual-cariageway, urban and rural roads. Each average speed camera system, whether it be SPECS or VECTOR camera system consists of a number of video cameras linked either to a remote enforcement cabinet or, with SPECS3 systems, directly to the police enforcement office. Number plates are read via ANPR as vehicles pass through the fields of view of each camera and the average speed of the vehicle is calculated between any two cameras. If this exceeds the Police threshold a NIP (Notice of Intended Prosecution) letter is created and sent to the keeper of the vehicle. Do you have a question about average speed cameras? You can read UK motorist's average speed camera questions and answers and you can also ask your own unanswered question via our online form. Alternatively, read UK drivers average speed camera comments. Unlike some other fixed UK speed cameras SPECS and VECTOR average speed cameras don't use film so there is no limit to the number of incriminating motorists it can help to prosecute. Your number plate, date and time stamp are stored by each average speed camera and then if your average speed between the cameras is above the speed limit you will automatically be issued a speeding fine. The very first SPECS average speed check systems were installed on Nuthall Road (A610) and Western Boulevard (A6514), Nottingham in July 2000. Before SPECS average speed camera system was installed, Nuthall Road and Western Boulevard had the worst Killed or Seriously Injured (KSI) figures in the county. Nottingham wanted to create ‘speed control zones’ rather than target individual accident black spots, so spot speed cameras were not considered appropriate for these key routes into the city centre. The table below highlights the percentage change of those killed or seriously injured before and after SPECS average speed cameras were installed on selected roads in Nottingham. However, depending on the road speed limit and your actual recorded speed in the speeding offence a court summons may be generated in place of the Notice of Intended Prosecution (NIP) through the post. Read more about speeding fines. What is your view and experiences with average speed cameras in the UK? Tell us and read more average speed camera comments. Alternatively, if you have a question relating to average speed cameras, please see our average speed camera Q&A page. Want to know where the UK's mobile speed camera trap are as you drive? 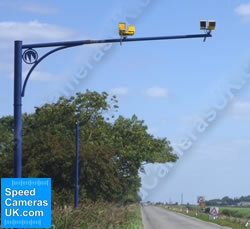 Here at SpeedCamerasUK.com we have a UK database of speed camera locations. This database also includes Gatso, SpeedCurb, Truvelo, Truvelo D-Cam, SPECS, Peek, Traffic Light speed cameras and more. Read more about the speed camera types. 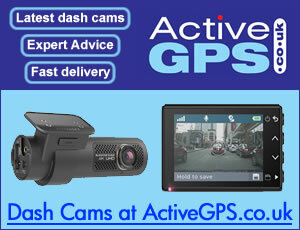 Did you know you can be alerted to where Gatso and other speed cameras are along UK roads via in car devices? These systems include dedicated speed camera detectors, sat navs with speed camera locations and various apps for smartphones. To read more view our buyers guide which talks you through the various features and different technology the different systems use. We also have dedicated reviews for each product with user comments.